CrossFit. It is the exercise that has taken the world by storm. Not only a workout, but for those who adopt the practices CrossFit embodies it becomes a lifestyle. 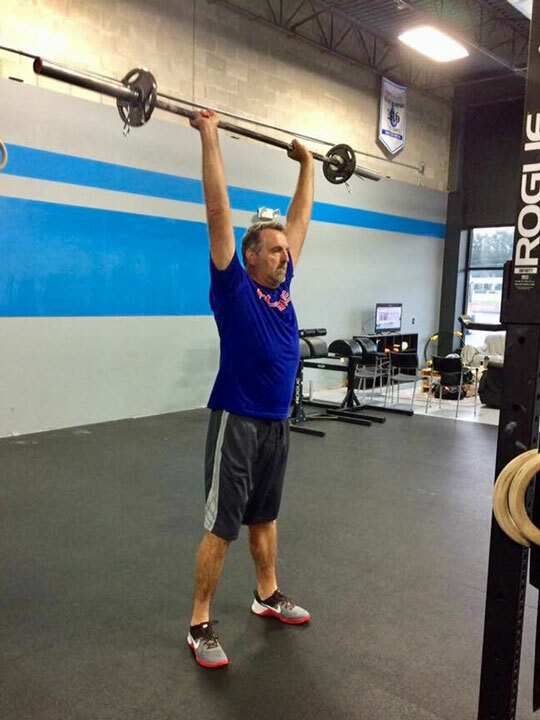 Its reach can be seen from the CrossFit athletes on social media and TV screens; to my dad applying the movements he learns at the gym in his job at Professional Movers.com. Professional Movers.com Team Member shoulder presses weights high above his head. This kind of movement mimics one of the many techniques needed when lifting furniture. For those unaware CrossFit is a high intensity fitness program that incorporates elements from several sports and types of exercise. The purpose of the movements practiced in CrossFit is to make everyday life easier. 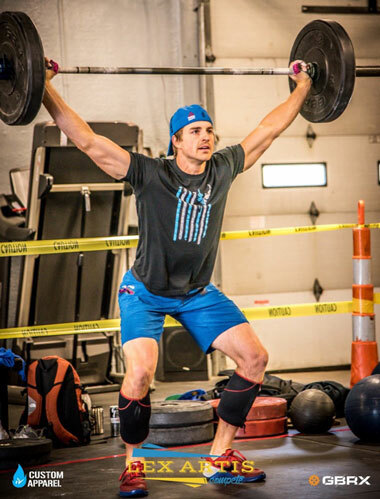 Evan Jacobson, CrossFit athlete of 7 years and Rogue Fitness employee says “It is a lifestyle” and CrossFit is “Centered around the thought that I want to be healthy and active in all stages of life”. CrossFit enables people to partake in all aspects of their live and not sit idly by and watch opportunities to live pass them up. Workouts for CrossFit are intense. They push the athlete to their limit. A typical workout begins with a warm up, then weight training, after this is the final workout. This extreme of a workout can sometimes seem daunting but anyone has the capability of becoming a CrossFit athlete. Men and women of all different ages can be found at these gyms practicing this lifestyle. A positive mindset is all that is needed to secede in CrossFit. While the motions practiced in CrossFit may come off as intense they all serve a purpose. All movements used are modified from motions used in everyday life. Because, one of the main goals of CrossFit is to make day to day life easier it is important that the movements practiced at CrossFit are able to be applied to everyday life. 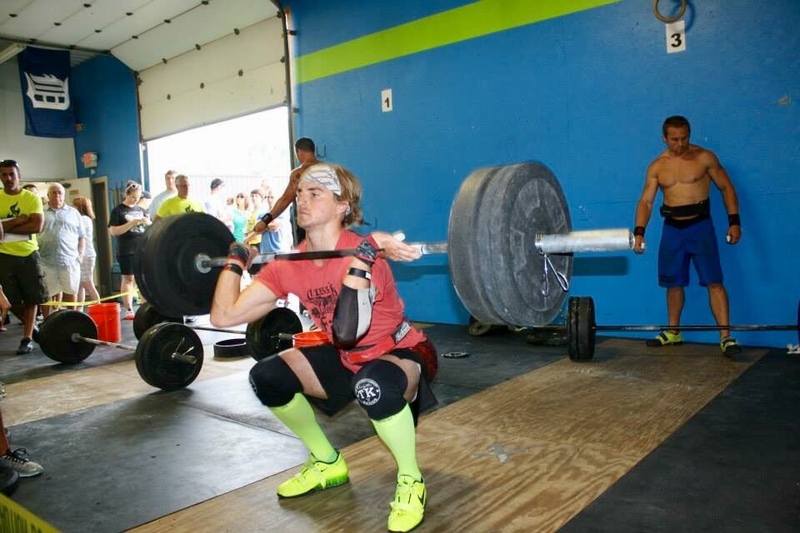 CrossFit enables people to become an active participant in their own lives. A major part of life is moving. 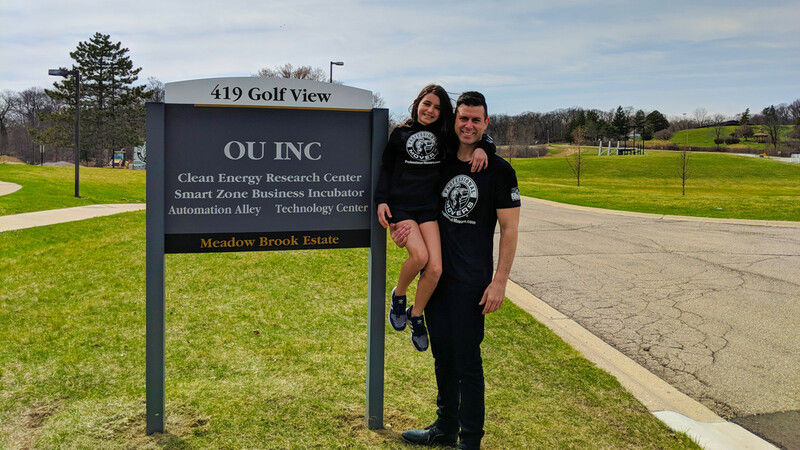 Moving homes, office spaces, and heavy furniture, can seem like a daunting task and are all occasions that the movements CrossFit teaches can come into play. It is important when moving to keep a strong core and have the proper from of squat to prevent injury. Both of these movements are learned, practiced, and refined properly in a CrossFit gym. Professional Movers.com knows how important basic skills are for moving. Team members are shown the proper from and safe way to move items. Team leaders teach other movers proper moving technique on every job. Much like CrossFit, moving is as much about the individual as it is about the goal and the team. 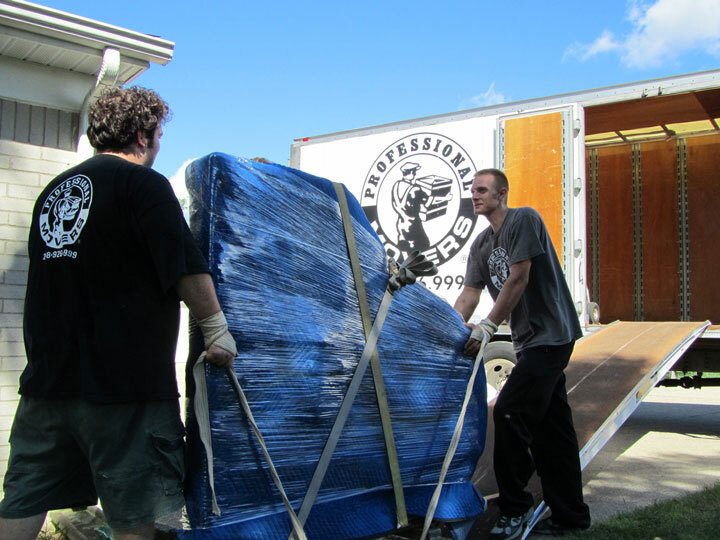 The safety of their team members and a smooth move are very important to the Professional Movers.com family. 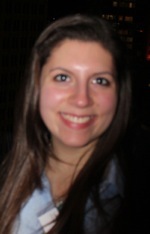 They train their team members to be the best they can be and lead a healthy lifestyle. Professional Movers.com is a family who takes the care and safe keeping of that family extremely seriously. Much like the CrossFit community, Professional Movers.com knows how important it is to be able to live a life and not watch it pass you by. Which is why when they move business, families, and individuals they aim to make the move as easy as possible so everyone involved can go back to enjoying the fun things in life. Both of these communities support their team members and encourage individual growth within. As the main provider of CrossFit equipment and gear Rogue Fitness is a company that believes in an active lifestyle. They also believe in supporting their workers and community. Using the concept of the Industrial Revolution 2.0, they make everything in Columbus, OH. This ensures their customers receive a quality product made in the United States. Much like Professional Movers.com they understand the power the community around them holds. Rogue Fitness: a company that is building stronger businesses, better products, and a happier workforce. 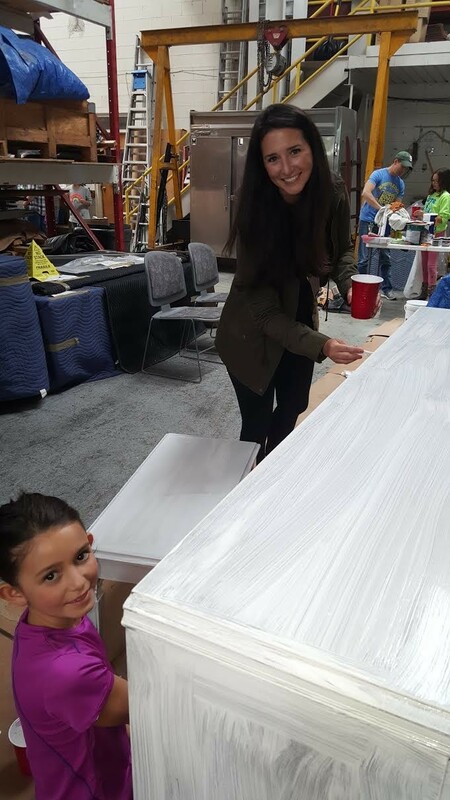 Sunday, May 21st, 2017 was great day of community as Royal Oak artists, students, families, and even the Mayor and Assistant to the City Manager joined forces together to help sand and paint 6 public pianos. 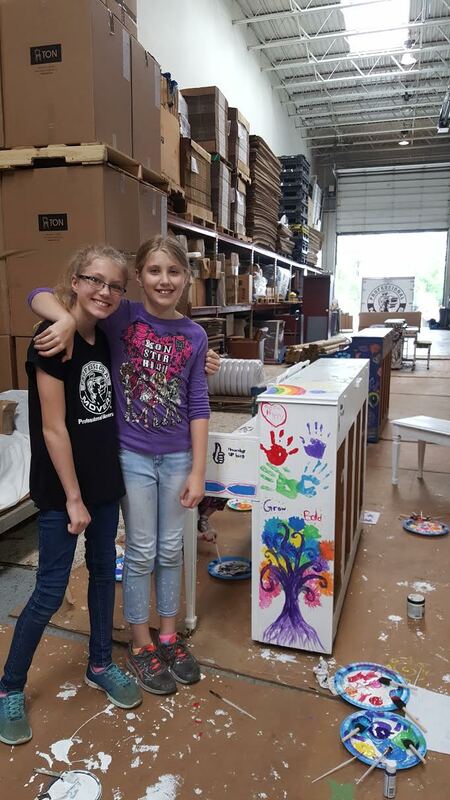 The event was hosted at Professional Movers.com warehouse; where the volunteers were asked to work together to creatively bring a specific theme to life on each of the public pianos. 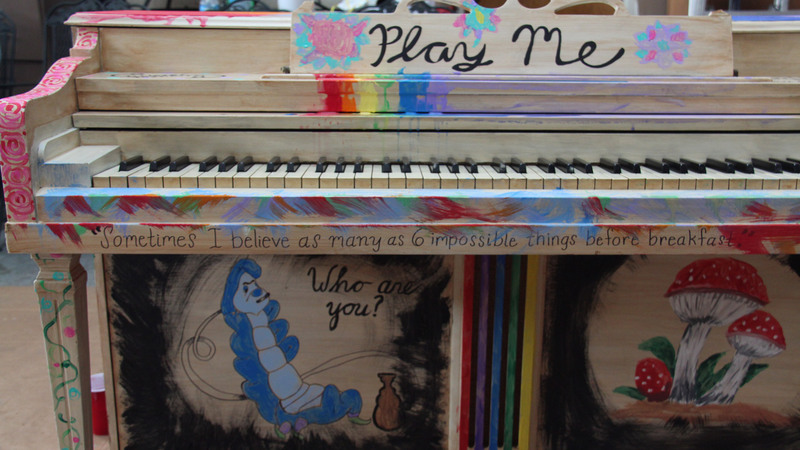 The themes varied from “Alice in Wonderland” to “Zentangle” and the artistic designs and vibrant colors are giving each of the originally donated pianos a second lease on life. 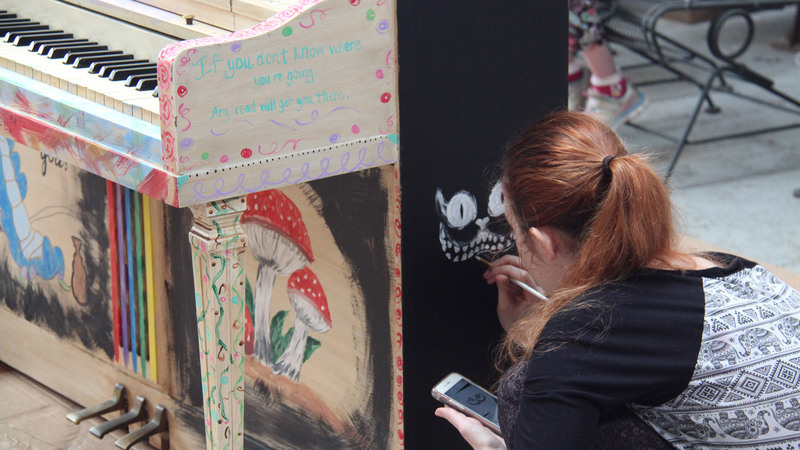 Artists painting “Zentangle” theme on street piano inside Professional Movers.com Warehouse. 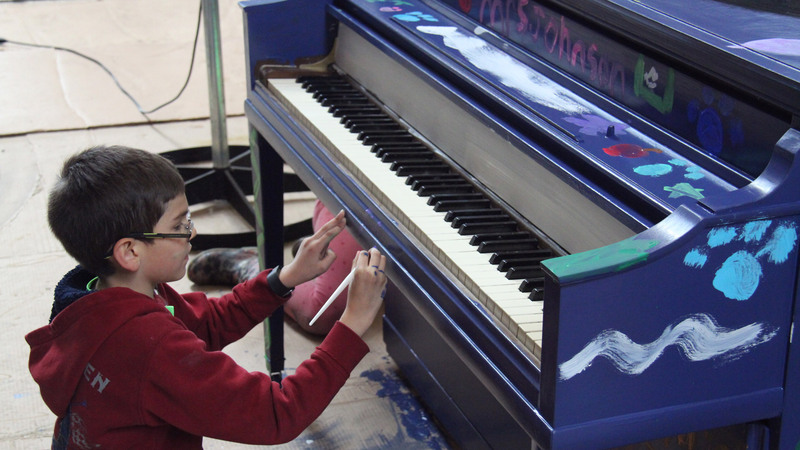 Painting the pianos was part of The Royal Oak Public Piano Project and was one of the final hurdles before the pianos are officially delivered to downtown Royal Oak later this month. 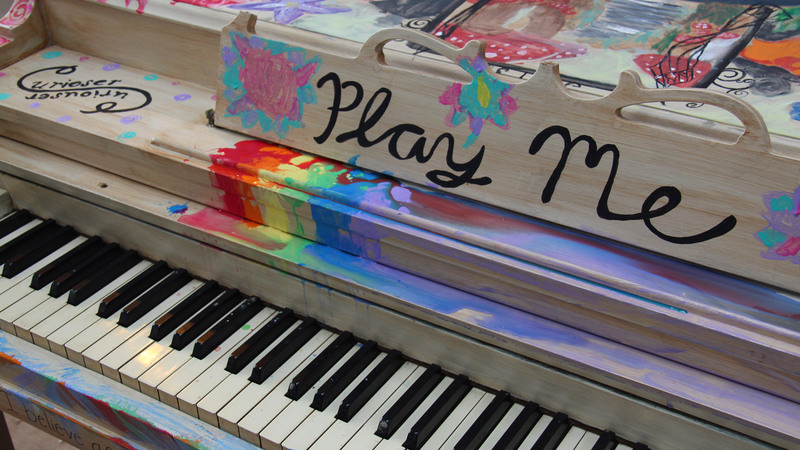 The project is being spearheaded by Jason Gittinger, chairman of the Royal Oak Commission for the Arts and Owner of The Detroit School of Rock and Pop Music who along with Live the Music Foundation had the vision to bring dazzlingly painted public pianos or “street pianos” to downtown Royal Oak for the public to enjoy. 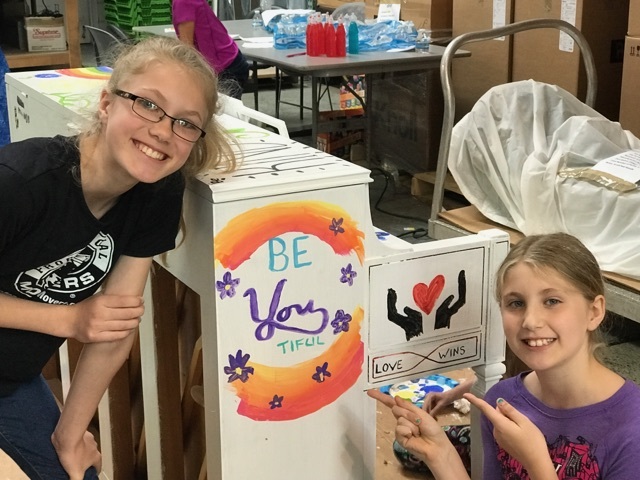 As Jason Gittinger describes it, “Music is a visceral experience and the street pianos will make for a communal opportunity where people can gather around the player and smile together.” The pianos will be for anyone and everyone. Little kids may play chopsticks with their parents, a walker by may sit down and tickle the ivories to some Beethoven, or curious souls may be drawn in to just tapping the keys to see if it works. 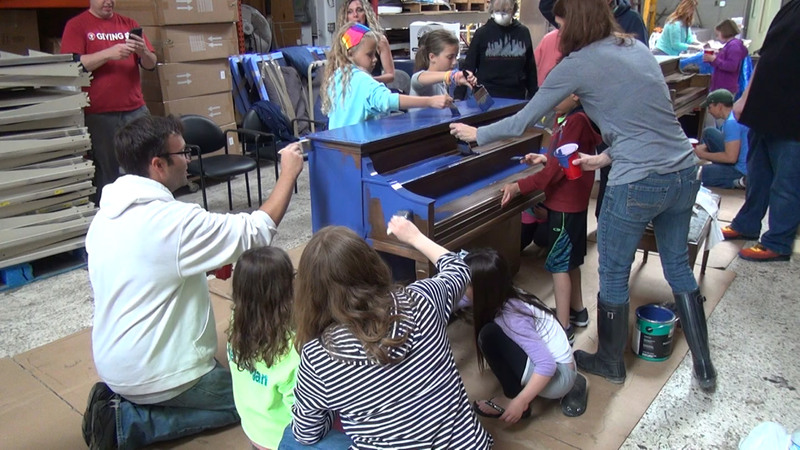 All of the street pianos have been obtained through generous donations from the community. 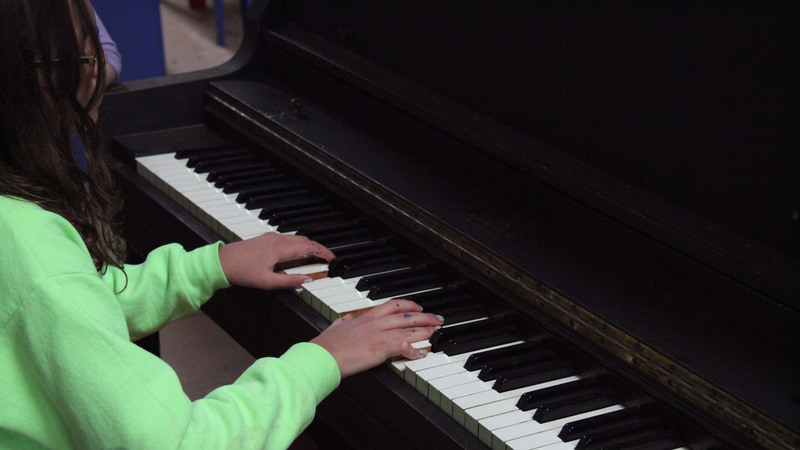 Some from people who heard about the project and contacted Jason Gittinger directly to let him know they wanted to donate their piano. 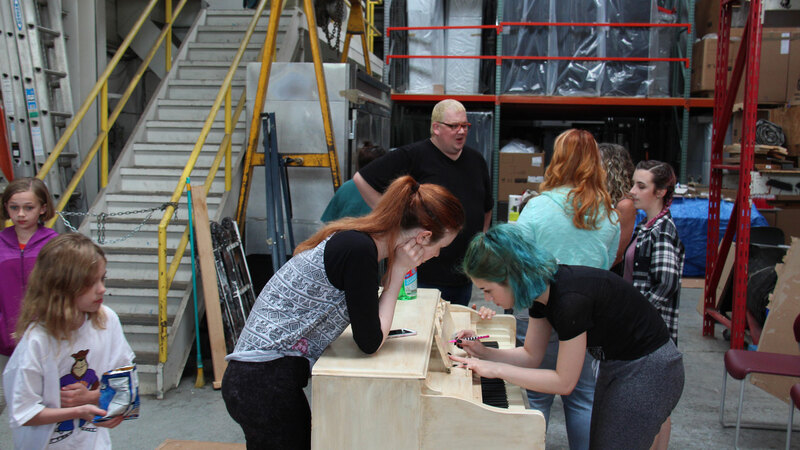 Other pianos were found thorough craigslist ads and gifted to the project in exchange for the project hauling them away for free. 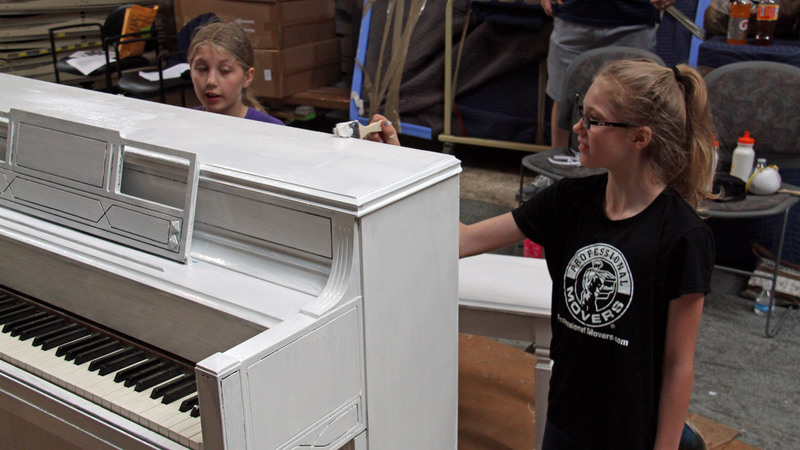 These are pianos that if not for the Royal Oak Piano Project, might have otherwise found their way to a dump. 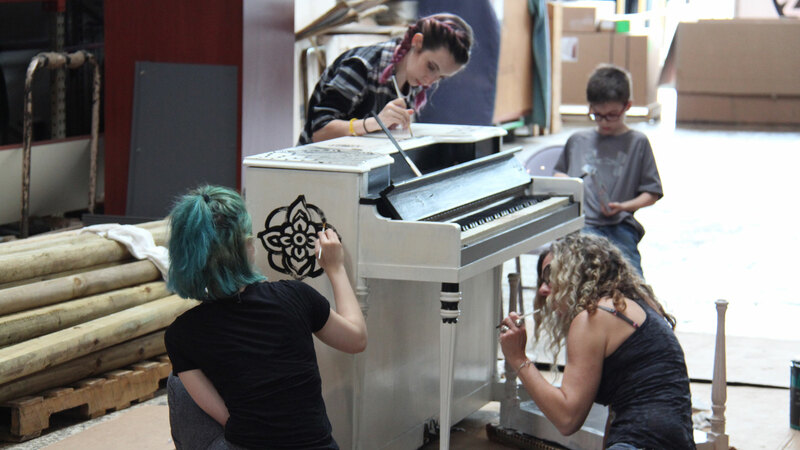 Instead, the amazing and talented cast of volunteer artists have made the pianos look incredible. 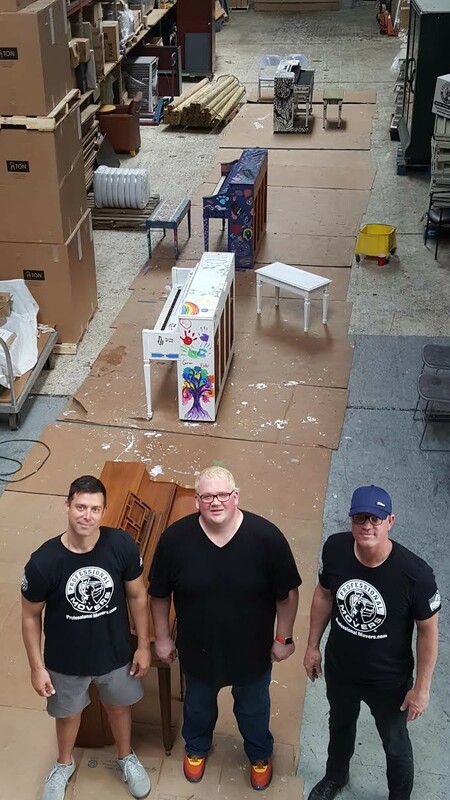 The businesses who are fortunate to have one the pianos installed in front of their business will be getting not just a piano, but a piece of artwork that will draw much notice. The Royal Oak Arts Commission is still in the process to make arrangements with business owners on the where the six pianos could be placed. 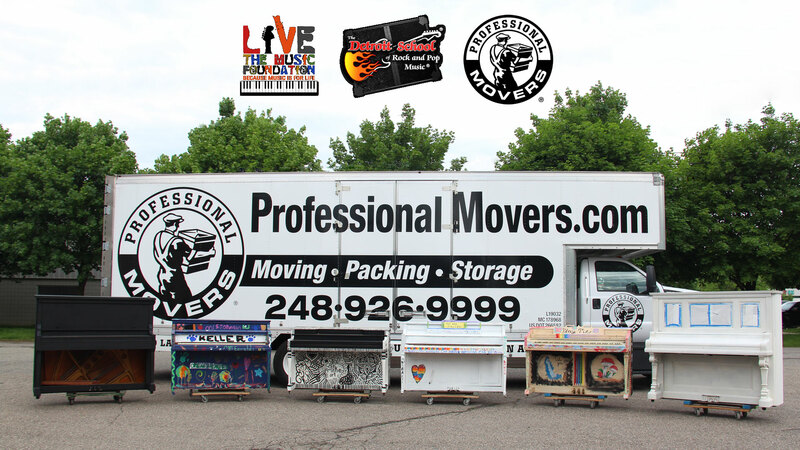 Special thank you to Jason Gittinger and The Detroit School of Rock and Pop Music for inviting Professional Movers.com to be part of such a worthy cause. For more information regarding the project, please contact Jason Gittinger at info@detroitschoolofrockandpop.com. 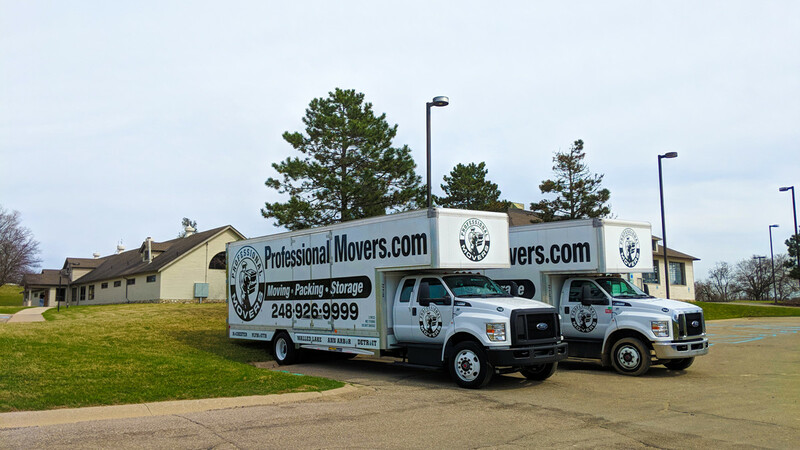 Professional Movers.com is an award winning, customer focused moving company with offices in Detroit, MI and Walled Lake, MI. They specialize in providing local, long distance, and international relocation services for people and businesses. 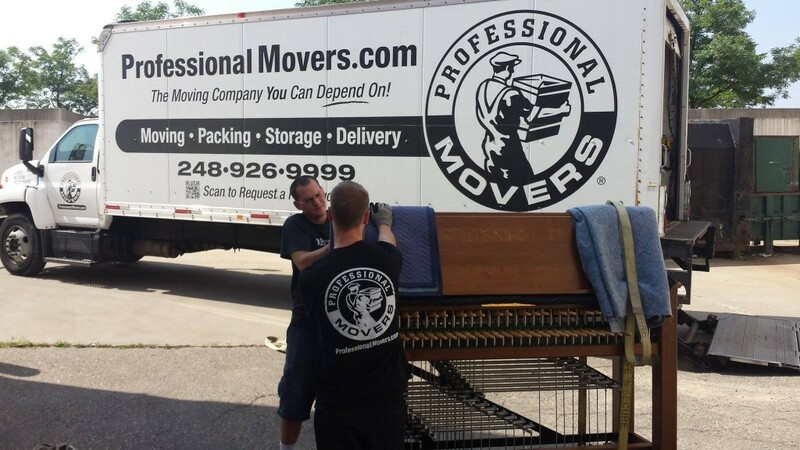 Professional Movers.com also offers piano moving services on residential and household moves. In addition, they have a delivery and freight division that offers courier, flatbed, lift-gate, and general freight delivery services. 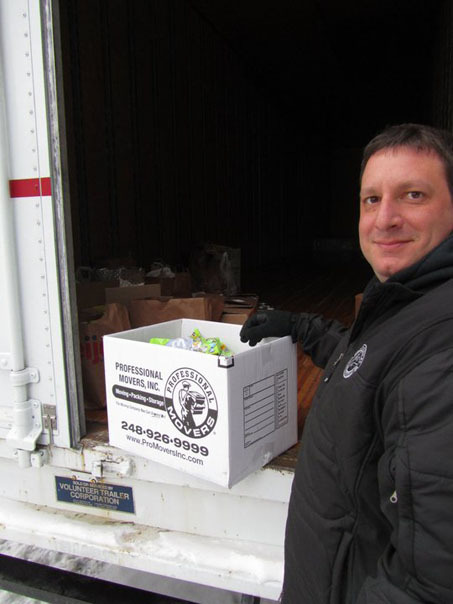 The company first opened in 1978 in Northwest Detroit and is known for providing intelligent, friendly, and highly skilled movers who take pride in their work. The company has been featured in the National Best Selling Customer Service Book, “Who’s Your Gladys” and has been voted “Best Moving Service” by Readers of the Oakland Press for five consecutive years (2011- 2017). 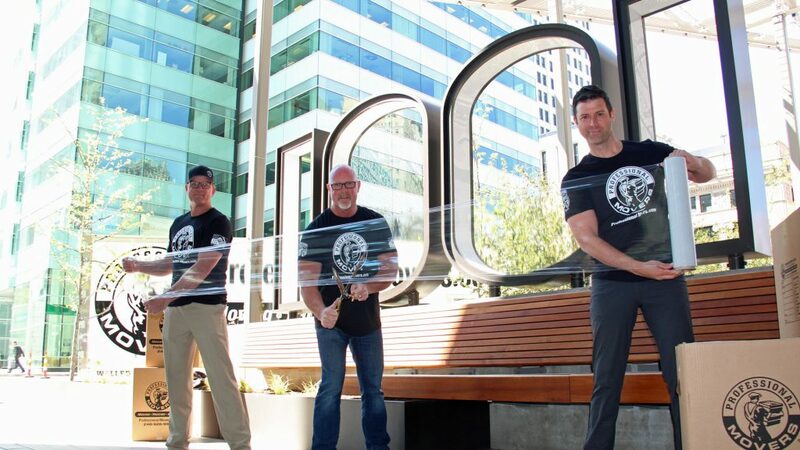 From left to right: Don Crowley, Patrick Crowley, and Andrew Androff announce grand opening. 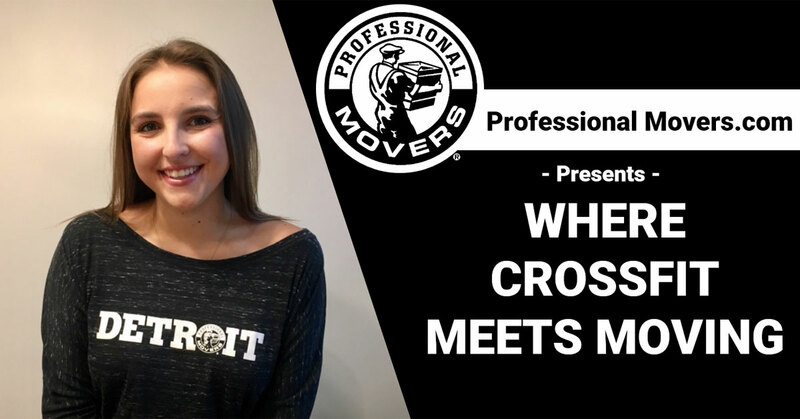 Professional Movers.com, the moving company known for pioneering the Detroit Moving Incentive Program to help entice businesses and people to move to Detroit, recently made an exciting move of their own. Standing in front of Bedrock Detroit‘s towering 23-story 1001 Woodward Building, Professional Movers.com proudly cut through a roll of stretch-wrap to celebrate the Grand Opening of their new downtown office space. 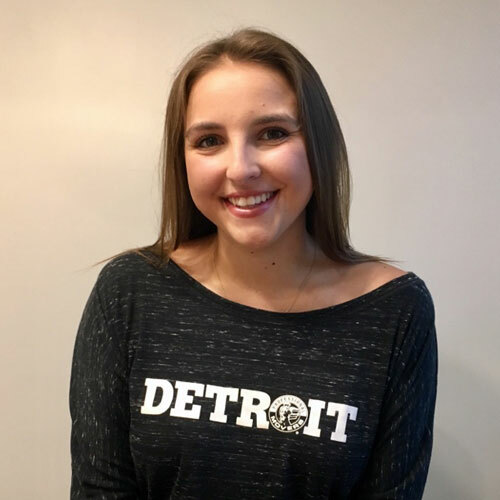 The company announced that as of May 1st, 2017, they have officially relocated their Detroit office to the WeWork Campus Martius space on the 5th floor of the 1001 Woodward Building. 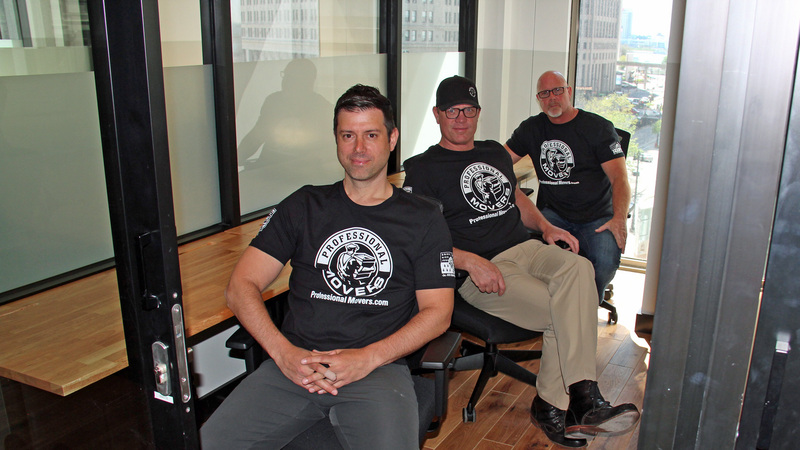 The announcement falls on the heels of continued explosive growth for the local office and residential moving company who have continued to hire new team members, purchase new trucks, and grow an impressive list of clientele ever since opening a Detroit office inside the Chrysler House back in 2012. 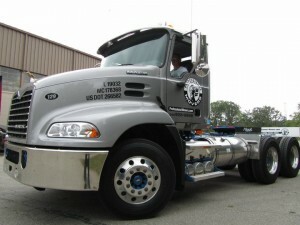 Professionalmovers.com performs office moving and residential moving services in Detroit. 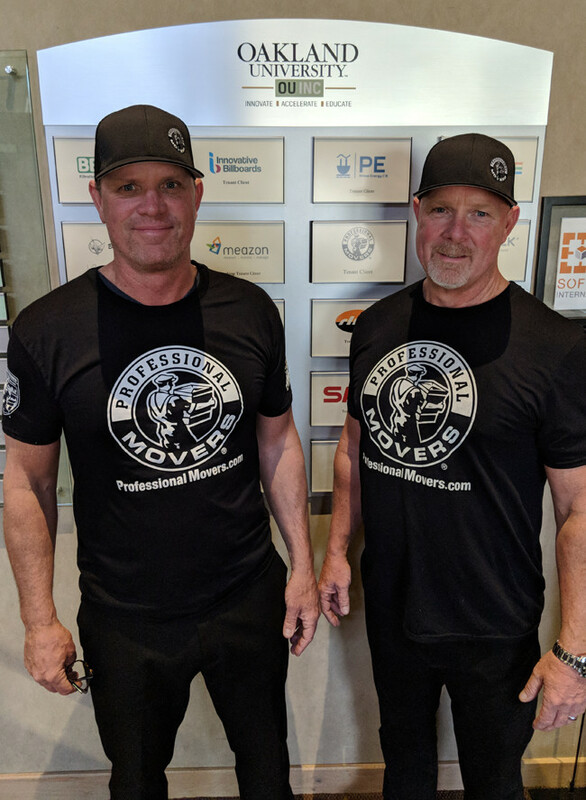 Professional Movers.com Management Team of Don Crowley and Kris Bergstrom and will oversee the new Detroit office space. 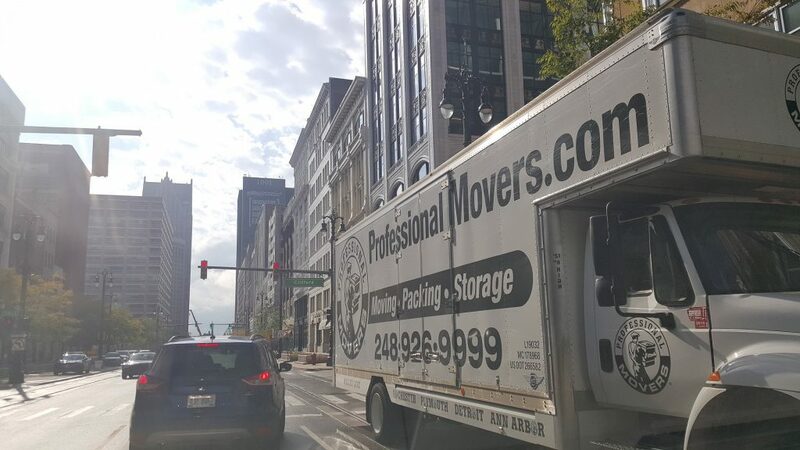 Their Moving Consultant team will focus on building the most accurate and cost-effective office move plans for the smallest start-ups to the largest fortune 500 companies relocating to Detroit. In addition, they will have a separate Moving Consultant team who will focus on providing residential move plans for people moving into Detroit’s lofts, condos, high-rise apartments, and homes. 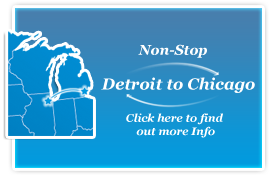 Professional Movers.com office will continue to offer the widely popular Detroit Moving Incentives Program which provides discounts and value added moving services to any company or individual who elects to move to Detroit. 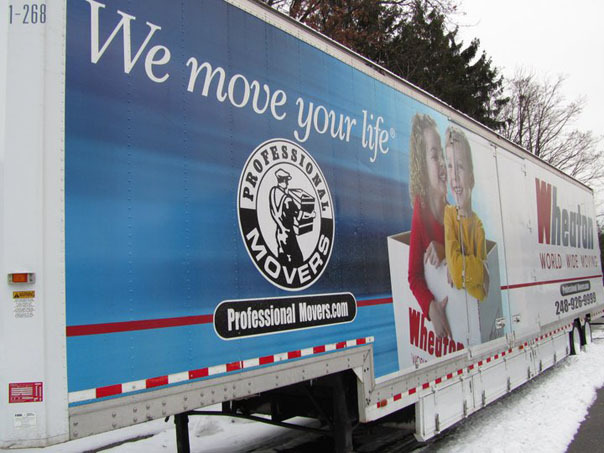 Professional Movers.com is inviting anyone who is considering moving their office or home to Detroit, please call us at 313-964.4444 to schedule an appointment to have a Moving Consultant visit and provide you with a free quote. 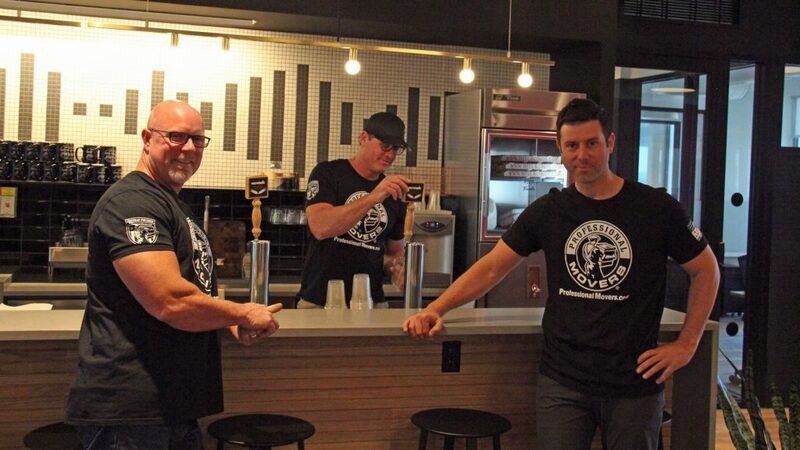 Professionalmovers.com team members hanging out in the new great WeWork common space. 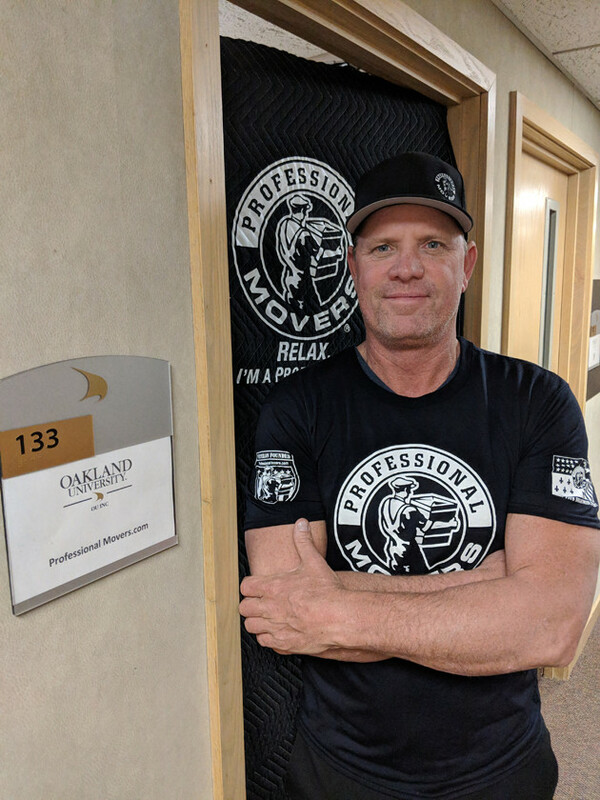 Professional Movers.com is an award winning, customer focused moving company with offices in Detroit, MI and Walled Lake, MI. They specialize in providing local, long distance, and international relocation services for people and businesses. In addition, they have a delivery and freight division that offers courier, flatbed, lift-gate, and general freight delivery services. 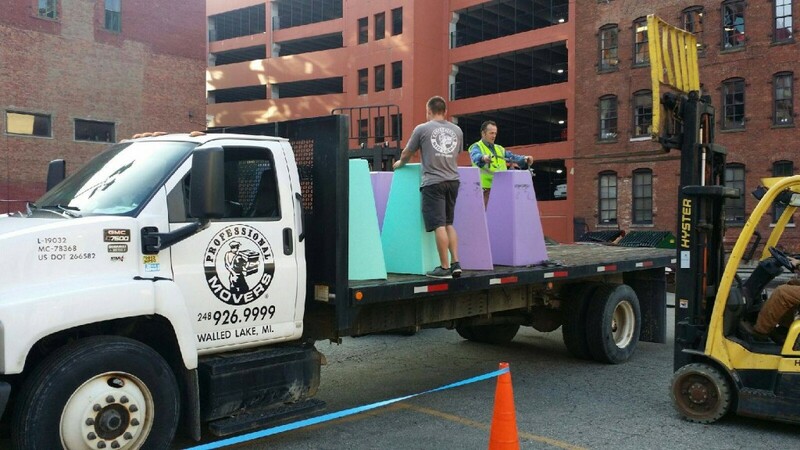 Our flatbed trucks and team were in action in Detroit helping move some cement parking blocks for Bedrock Real Estate Services. Much like all of their great spaces downtown, even their parking blocks are colorfully bold and full of personality. Nice work by Team Leader, Chis Heck and partner Nick Malles for facilitating the seamless transfer. So the Kentucky Derby is known as the “most exciting 2 minutes in sports” however today our Team of Moving Stallions had the “most exciting 30 minutes in relocation” as they helped transfer the dPOP steed back to her normal stable inside the basement of the Chrysler House. Visiting their workspace is always inspiring and fun. I mean, where else can you see a kitchen with walls and a ceiling that simulates dripping chocolate, a life-sized horse lamp, an astronaut spacesuit, or a bank vault repurposed into a dramatically elegant conference space? Want to check out dPOP!? Don’t get COLT feet. Come hang out during one of their “Workeasy” events. Every 2nd and 4th Friday of the month, dPOP! 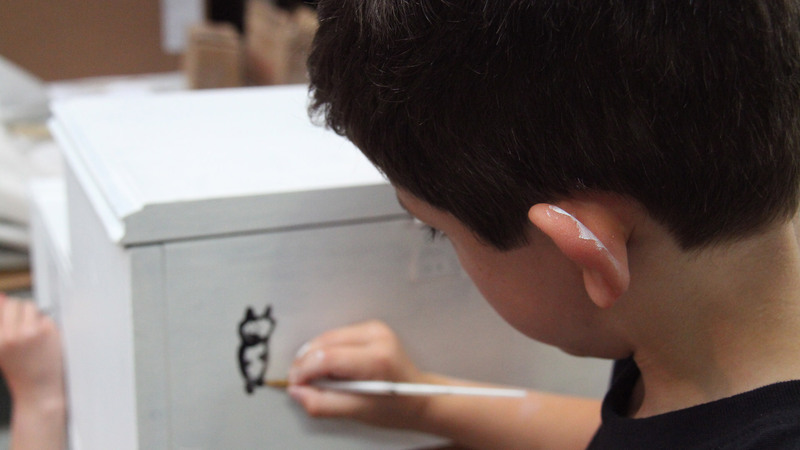 welcomes anyone who wants to come work with its staff and see what it’s like to spend a day in creative paradise. 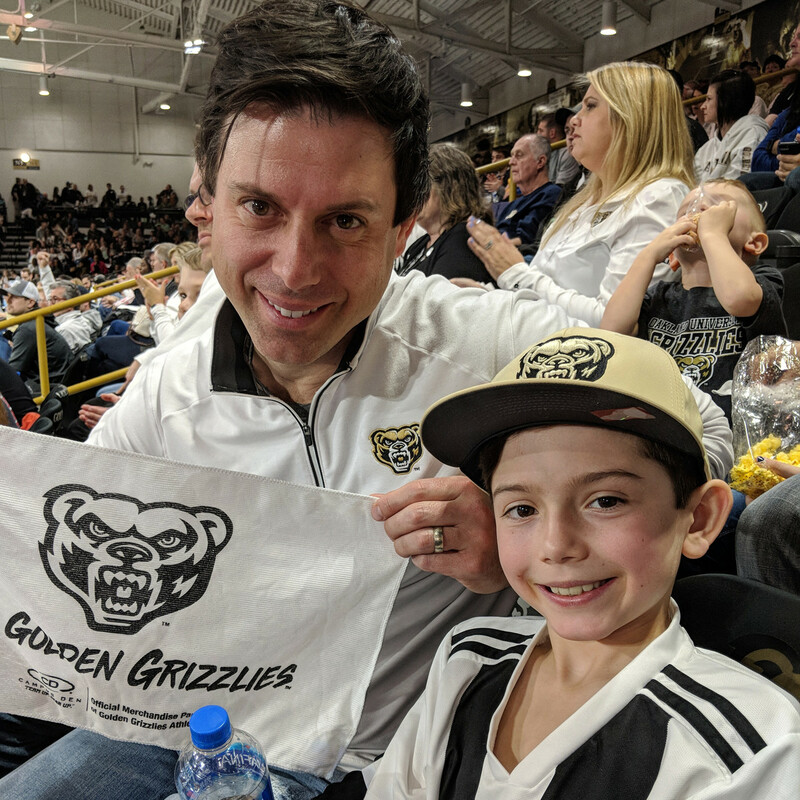 Posted in News | Comments Off on Vote for Us! Our Report Cards are in and we got STRAIGHT A’s! 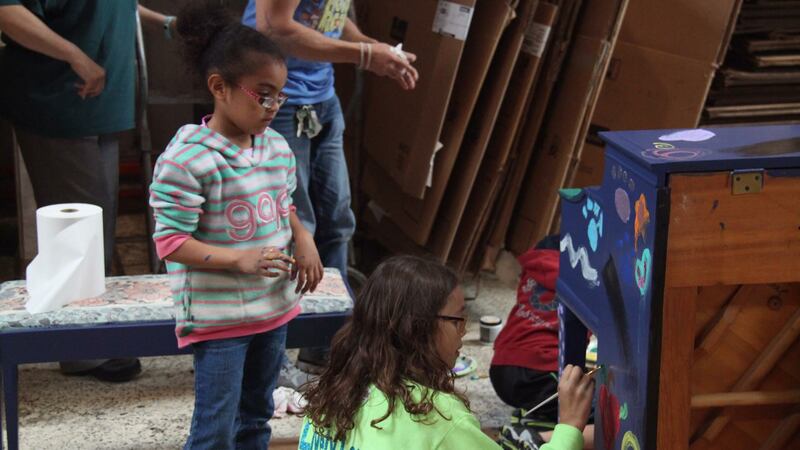 After a full summer semester of providing School Relocation Services, our Report Cards are in. Looks like our movers got STRAIGHT A’s. Thank you to all for taking the time to fill out our survey forms and send them back. This is one of main reasons we are able to continuously monitor and improve our level of service. We would also like to commend our moving teams for their consistent great work. 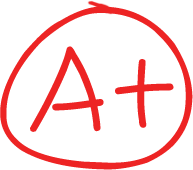 Posted in News | Comments Off on Our Report Cards are in and we got STRAIGHT A’s! 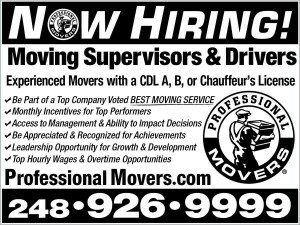 Professional Movers.com is looking for movers/drivers. The ideal candidates must be honest, hard working, reliable, clean cut, polite, and CUSTOMER-SERVICE ORIENTED. Must have minimum 2 years of verifiable moving and driving experience with a licensed moving company and capable of carrying heavy items. Candidates will be required to pass a physical, drug screen and nationwide background check. 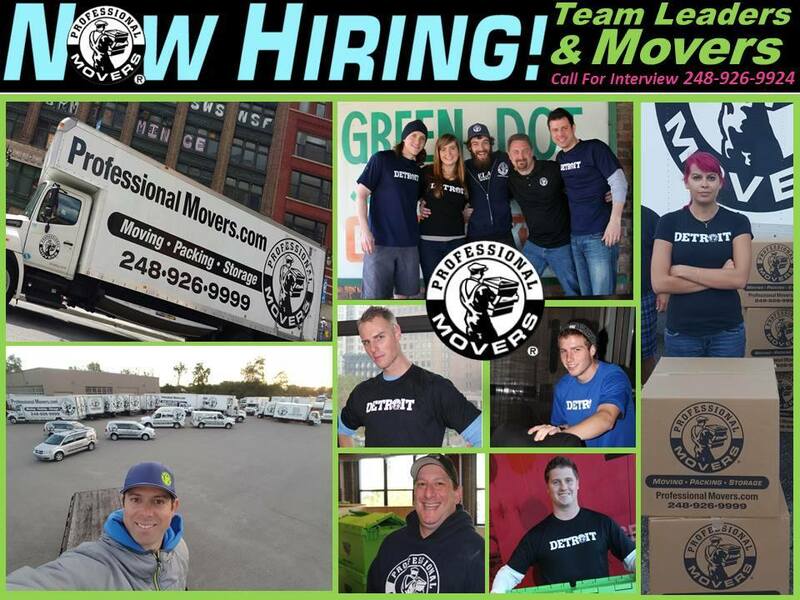 We have openings on our Moving Division. Specifically, we will be looking to fill the role of TEAM LEADERS, SKILLED MOVERS, & APPRENTICE MOVERS. Candidates will utilize their people skills and moving acumen to problem solve and help ensure a successful move for residential and corporate customers. Both positions are leadership roles with opportunities for career growth. Hourly rates assessed upon interview/trial and based on a combination of skill, experience, and acquired licences. Call our Walled Lake Office at 248-926-9924 and ask for Patrick to schedule an interview. Posted in News | Comments Off on We are Hiring! 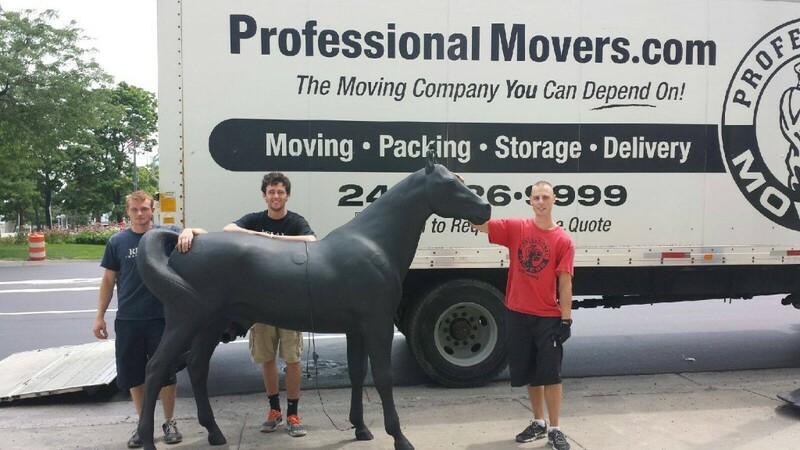 Welcome to Professional Movers.com Blog! We are proud to announce the Official website for Professional Movers.com! Take a look around and feel free to send some information for the Free Quote — it’s painless, quick, and of course free. Even if you don’t plan on moving right away, send in the request and be well prepared for task ahead! Also, check back on this blog for Packing and Moving Tips, Special Discounts, Customer Stories, and More! Posted in News | Comments Off on Welcome to Professional Movers.com Blog!